Richard S. Hartmetz - Richard Stephen Hartmetz was born in Rochester, NY on February 9, 1965. Richard has degrees in Computer Science, Special Education and Psychology.He spent many years as a teacher in the Rochester City School District, East Irondequoit, St. Margaret Mary School and the School of the Holy Childhood where he was known as “Mr. 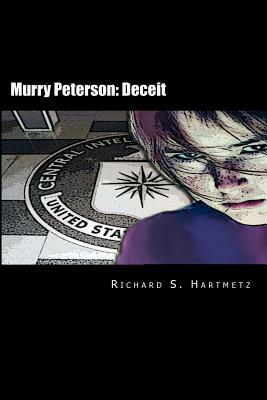 H.” He is now the CEO of Starry Night Publishing.Richard is also the author of the “Murry Peterson” espionage series: “Spy Game,” “Checkmate,” “Deceit,” “Failsafe,” “Iron Curtain,” “Echelon,” and “The Final Countdown.” He has also written “The Adventures of Robin Caruso,” and the #1 bestseller “Secrets to Writing Well.” His other children’s books “Marvin!, Marvin!, Marvin!,” “Hurray For Marvin,” “Super-Marvin,” and “Marvin and Ted,” which are currently available from , Barnes & Noble, Starry Night Publishing and many other fine booksellers.Richard wrote his first story, entitled “The Dog Catcher is Coming,” when he was only six years old and has been writing since, also teaching several writing workshops.You may connect with Richard, Murry Peterson, Robin Caruso and Starry Night Publishing on Facebook and at starrynightpublishing.